The 115ft Viking ship makes an impressive sight under sail. When you’re talking seafarers of old, the Vikings are right up there with the Phoenicians, the Chinese and the Polynesians. Maritime historians may bicker about which group was the most wide-ranging, but there’s no disputing who got the most publicity—no one who has ever opened a book could be unaware of the exploits of the Norsemen who plundered and pillaged almost at will from the 8th to the 11th centuries. The Vikings were not only fearsome fighters, they were skilled sailors and boatbuilders who were responsible for the near-perfect blend of form and function that is the Viking longship. These clinker-built crafts carried their Danish, Norwegian and Swedish crews to Ireland, Scotland and England, deep into Russia, to the farthest reaches of the Mediterranean, and across the Atlantic to Iceland, Greenland and Newfoundland. 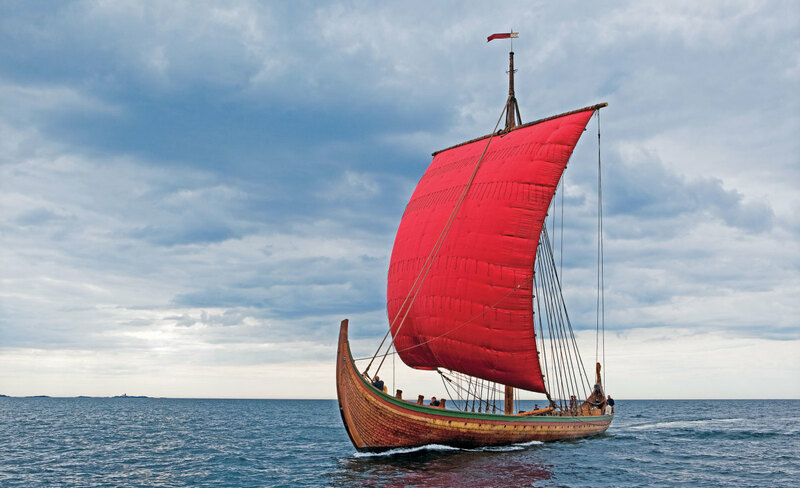 This summer, a modern-day longship is touring the Great Lakes and East Coast after recreating Leif Eriksson’s 11th century voyage to “Vinland”—Newfoundland. Draken Harald Harfagre (Dragon Harald Fairhair) left Norway in April bound for North America via Iceland and Greenland. 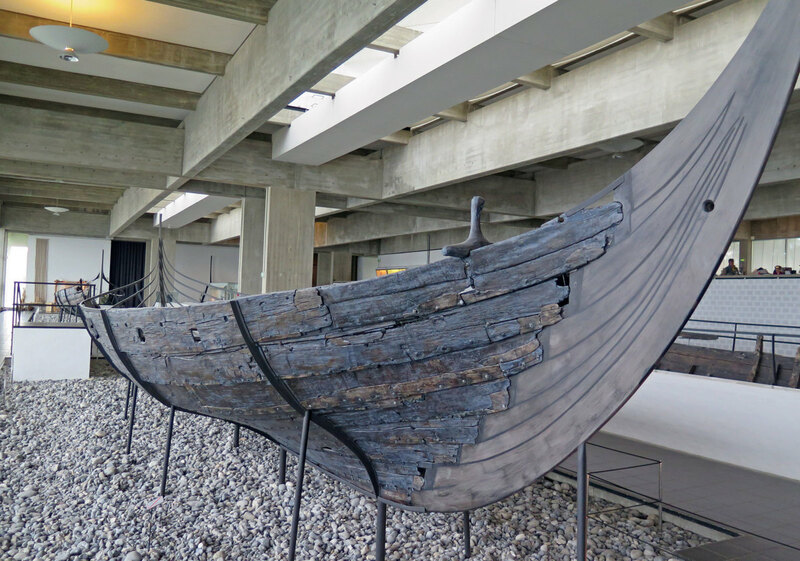 The ship is not a replica of any one vessel, but was built with materials and techniques similar to those used in the famous Gokstad ship—a well-preserved 9th century longship excavated in Norway—and other Viking-era craft. The plan was to reach L’Anse Aux Meadows on the northern tip of Newfoundland—widely agreed to be the site of Eriksson’s settlement—by June 1. In September, the doughty Norwegians will head down to New York, where the ship will spend the winter. 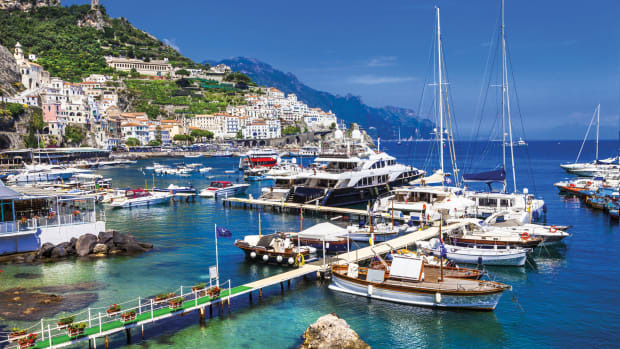 She’ll be open to visitors in each port. At 115ft from her arching sternpost to the ornately carved dragon’s head on her prow, 26ft on the beam and drawing 8ft 6in, Draken Harald Harfagre is an impressive wooden ship by any measure. She displaces some 80 tons; her planking is oak, her 78ft tall mast is Douglas fir, and she is held together with iron rivets and trunnels (wooden nails) in the same way her ancestors were 1,000 years ago. 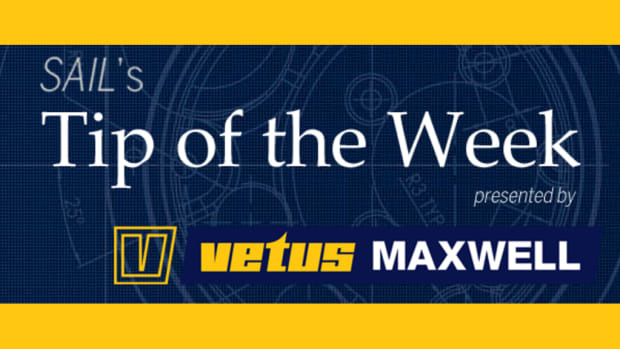 She was reinforced for her transatlantic voyage with extra keelbolts, and her topsides were raised with an extra row of planks to give her 32 crew some measure of shelter from the worst the Atlantic can throw at her. 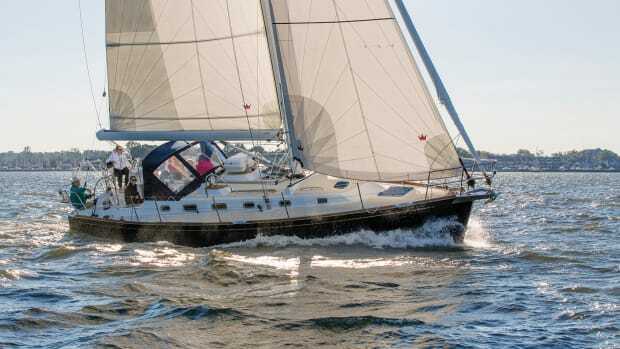 With her 1,200ft² squaresail up and drawing, she has been clocked at 14 knots. When the wind drops, the crew can bend their backs to 25 pairs of oars. In Viking times, such a ship would have carried 60 or more bearded warriors. She may be the biggest Viking ship plying the seas today, but Draken Harald Harfagre is far from the only one. I visited the Viking Ship Museum in Roskilde, Denmark, last year, where I found no fewer than five functioning replicas of Viking-era craft. They are based on the remains of ships that were scuttled to block a harbor channel from an invading Norwegian fleet, and offer visitors the chance to sail recreations that are faithful right down to the hempen rigging, woven flax sails and ropes made of sealskin. Ranging from a 100ft warship to smaller vessels used for oceangoing and coastal trading and fishing, the replicas make quite the sight among more than 30 other traditional Nordic craft that round out the museum’s collection. 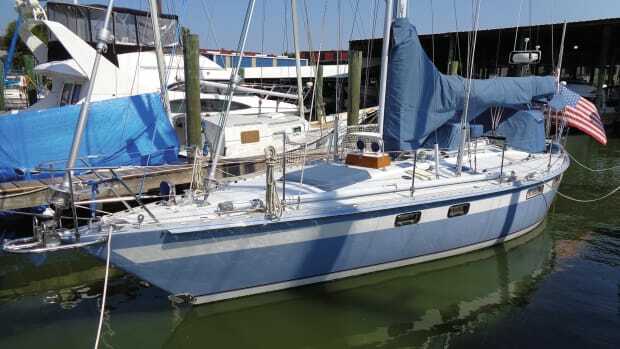 They are all seaworthy and for a small donation you can hop aboard and pretend you’re en route to plunder a monastery in the British Isles, ready to shake your axe at trembling monks and waggle your eyebrows at swooning nuns. 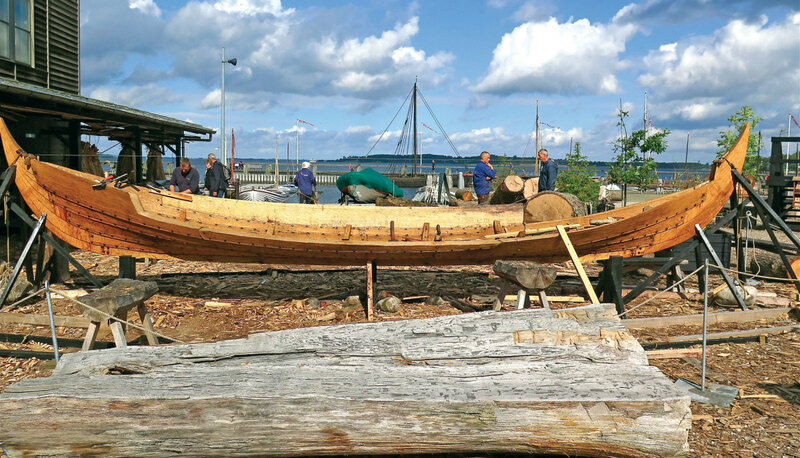 Should you be seduced by the beauty of these boats and the history behind them, a working shipyard on the site will obligingly build you a smaller version to order, using hand tools to split, cut and shape the planks just as the Viking boatbuilders did. 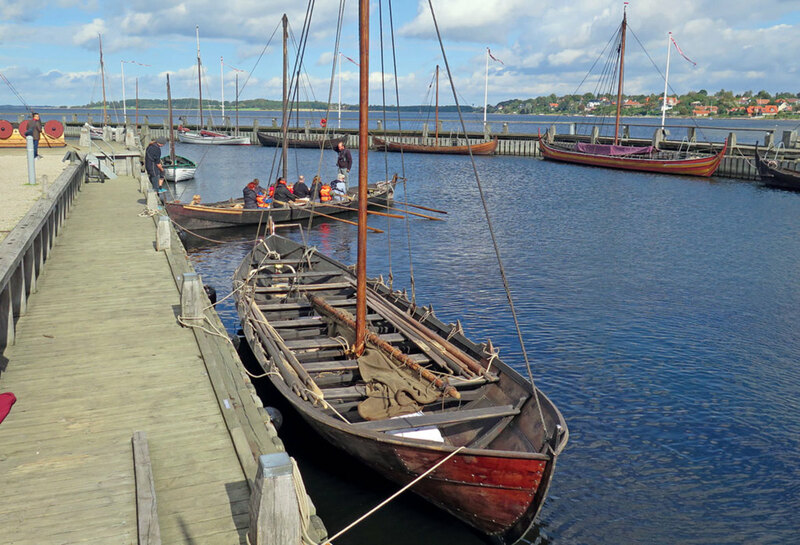 The most popular boats are exact replicas of three smaller craft found inside the large 9th-century Gokstad ship, in which a nameless Viking chieftain was buried along with much of his household wealth. Not everyone can get to Denmark or Norway, but checking out Draken Harald Harfagre won’t be too difficult. To whet your appetite, I’d recommend watching the excellent History Channel drama series Vikings. For more information on the modern-day Viking invasion of the Great Lakes, go to drakenexpeditionamerica.com.  Many other types of sailing vessel have been recreated over the years, and some have made impressive voyages. Here’s a sampling. 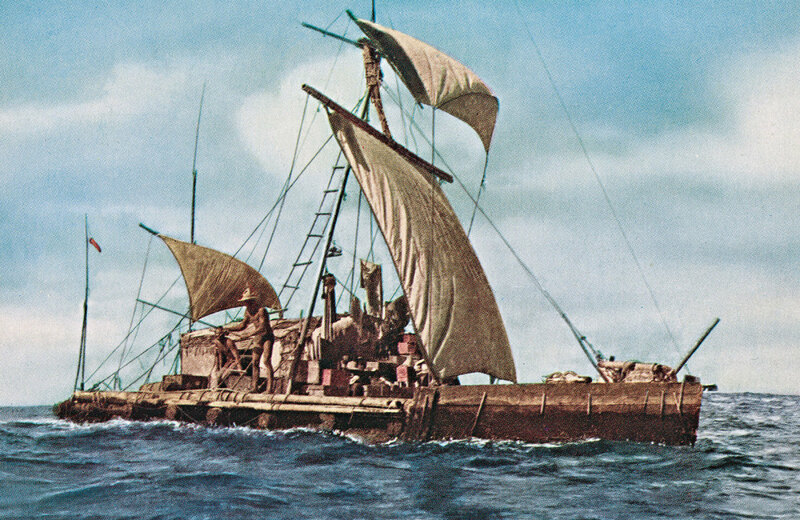 Norwegian adventurer Thor Heyerdahl achieved lasting fame in 1947 when he voyaged from Peru to the Tuamotus—some 4,300 miles—on a sailing raft made of balsa logs. His aim was to prove that indigenous South Americans could have settled Polynesia. 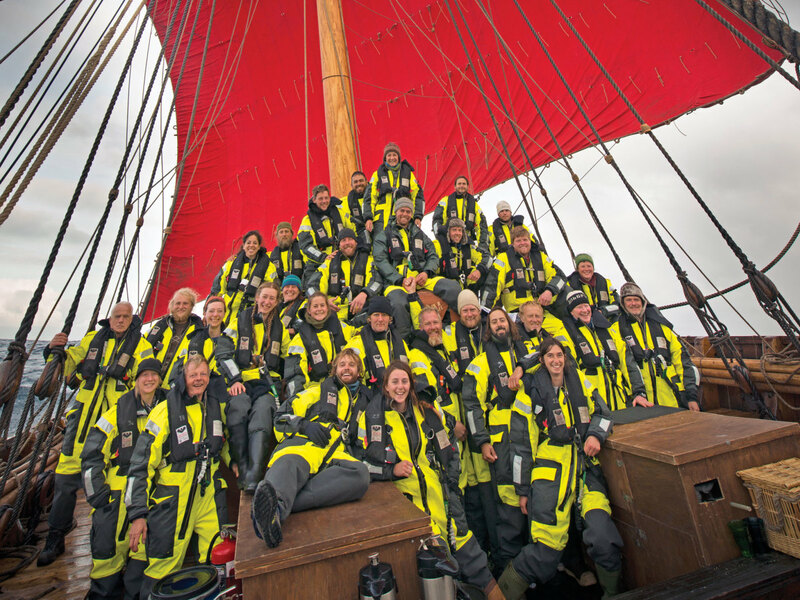 A second Kon-Tiki voyage earlier this year on two balsa rafts did not end well; the mostly Norwegian crews had to be rescued on their way back from Easter Island when the rafts began to break up in heavy seas. In 1970, Heyerdahl decided to prove that ancient Egyptians could have sailed to South America. He constructed a 45ft papyrus vessel copied from Egyptian drawings, transported it to Morocco and set off. The Ra fell apart and sank after 3,000 miles, but the undaunted Norwegian built a second vessel and tried again. 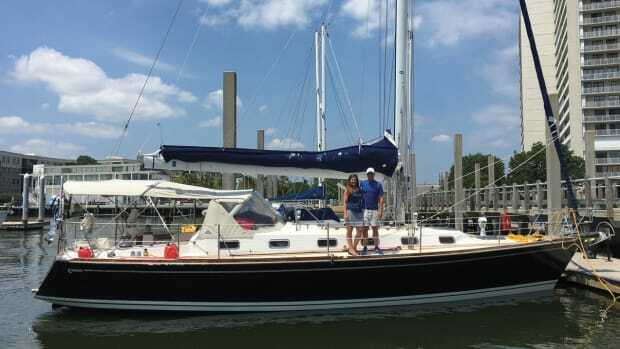 Ra II made it across the Atlantic, logging 4,000 miles in 57 days. 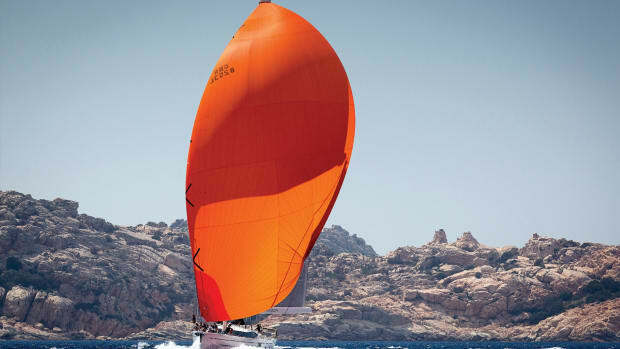 Did the Irish monk St. Brendan sail from Ireland to America and back on a leather boat in the 6th century? 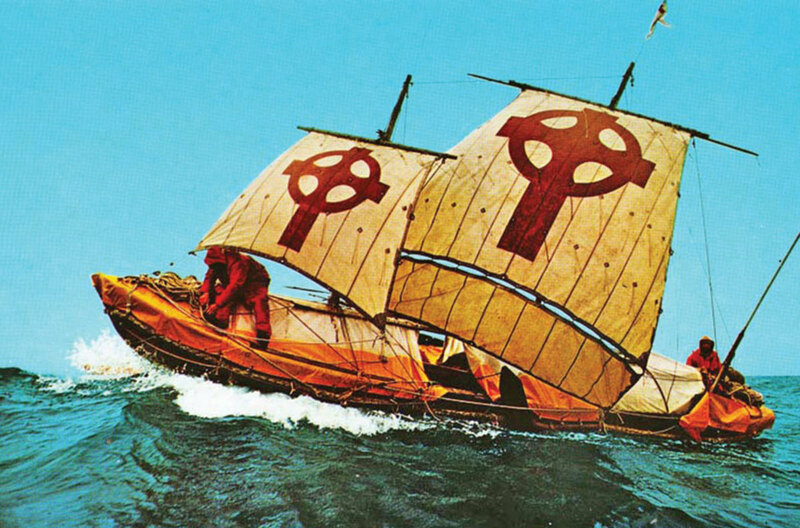 Convinced that ancient Latin texts telling of this voyage were true, in 1976 British explorer Tim Severin built a 36ft replica of a traditional Irish currach. The two-masted boat was made of oxhides stitched to a framework of ash and oak and sealed with wool grease. Severin’s 4,500 mile voyage from Ireland to Newfoundland took nearly a year, with lengthy stopovers in Iceland and Greenland. In 1976, this replica of a Polynesian voyaging canoe voyaged from Hawaii to Tahiti using only traditional navigating techniques, without a sextant to any other instruments. The aim was to show that the Oceanic people could have traveled purposely through the South Pacific. She has since become arguably the most traveled replica ship of all, and is still going strong. She can be seen at a number of harbors along the East Coast of the United States during 2016. 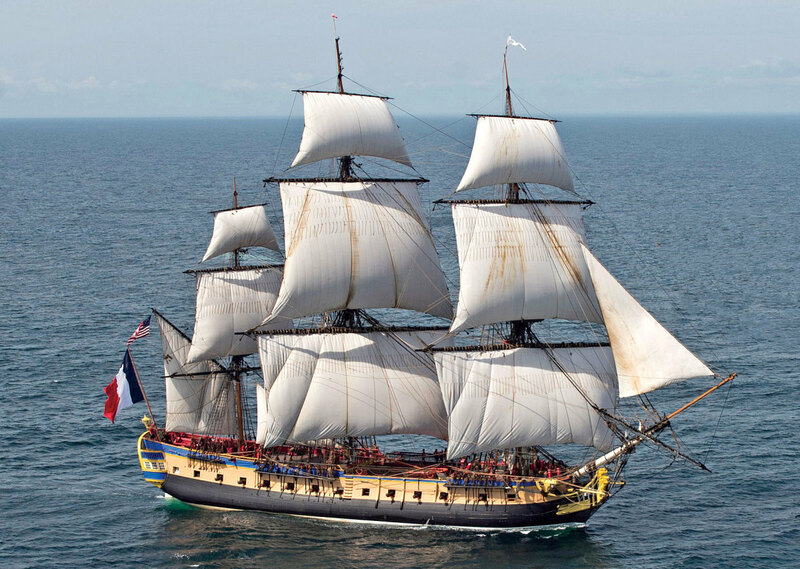 This painstakingly accurate replica of the frigate that carried General Lafayette from France to Boston in 1780 was built at Rochefort, where the original was constructed. 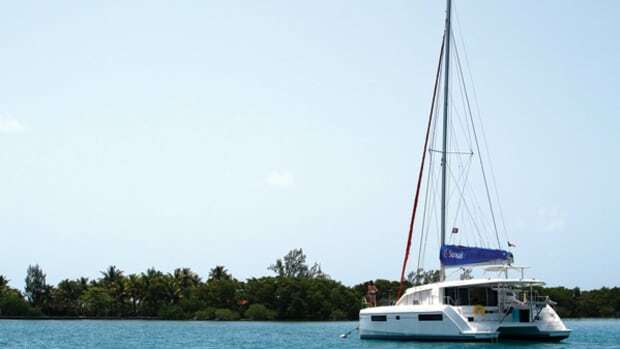 She sailed from Rochefort to the United States in 2015, where she toured the East Coast.